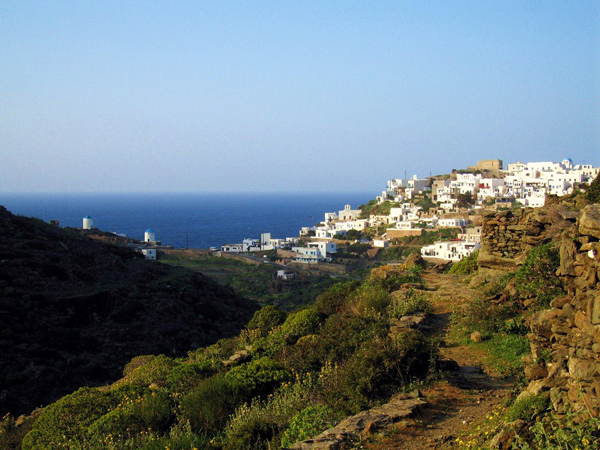 From afar, Apollonia resembles a flock of white doves seated on the tops of three hills. 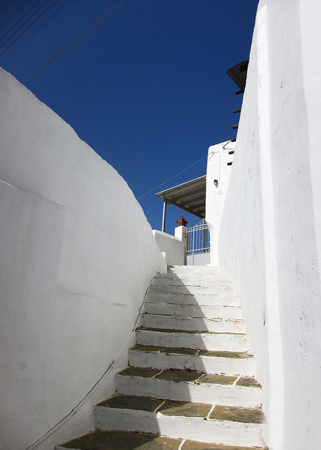 Apollonia, on Sifnos, has been dedicated to the god Apollo since antiquity, and attracts interest as a worthy capital. 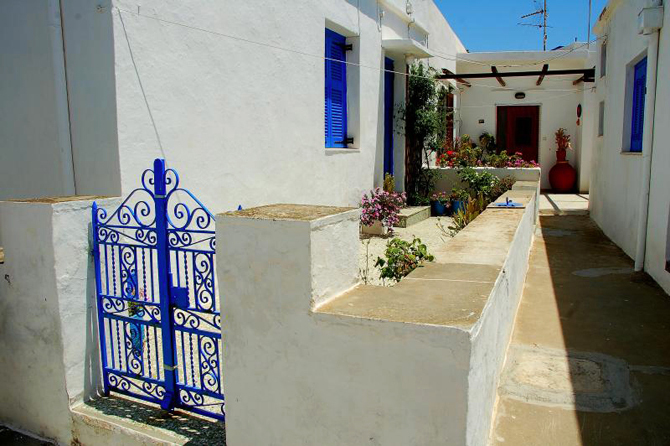 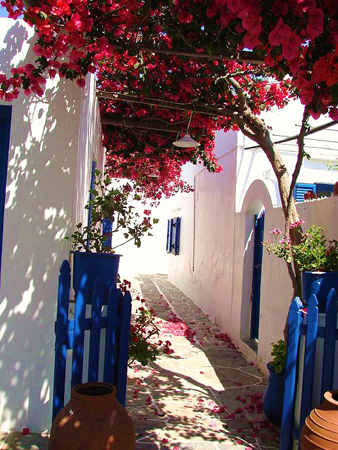 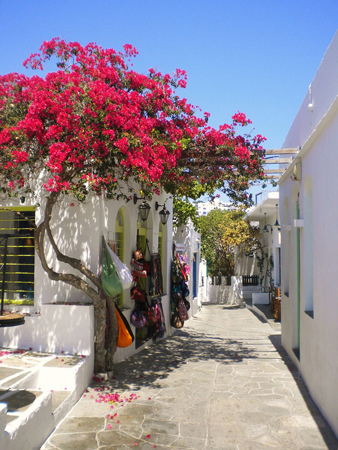 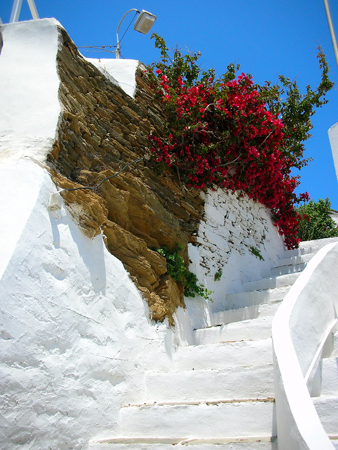 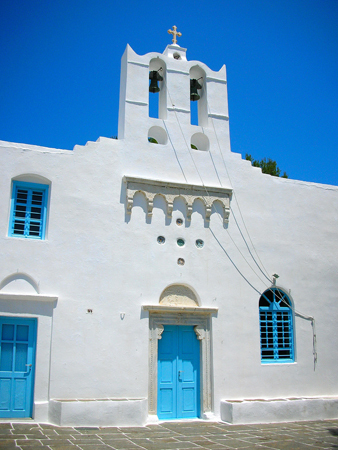 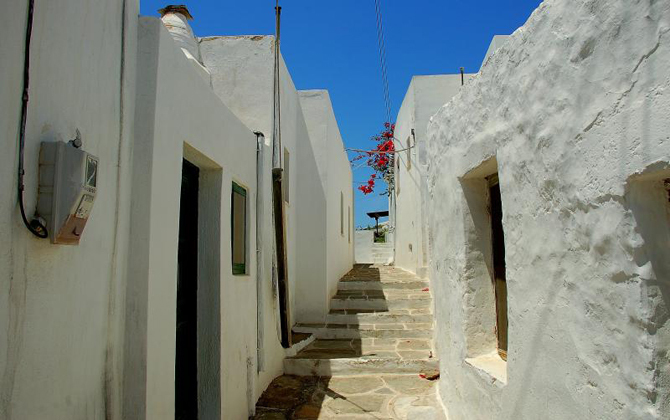 Simplicity and the color white prevail in this settlement, which is pleasantly lit by the vivid colors of flowers. 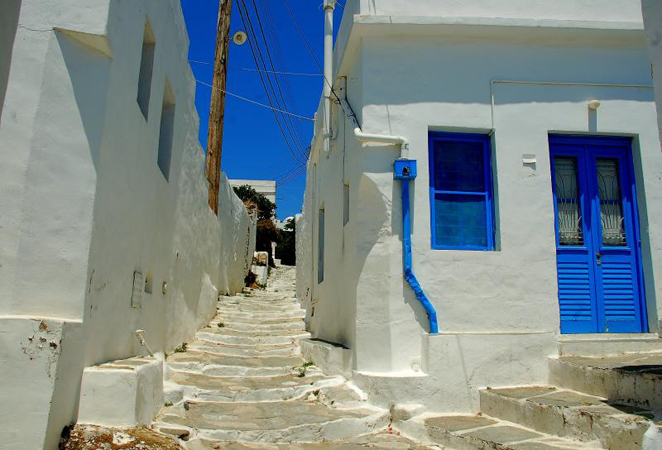 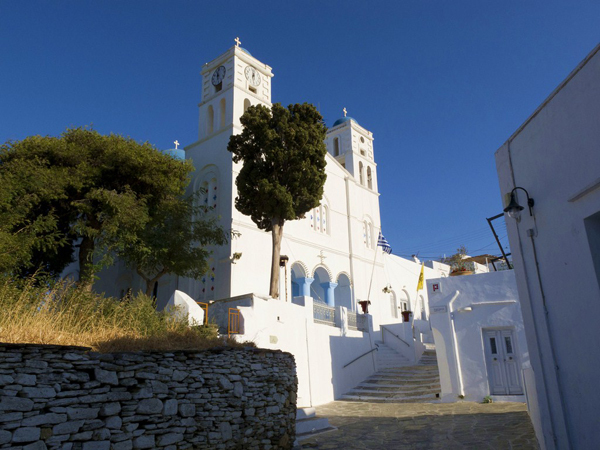 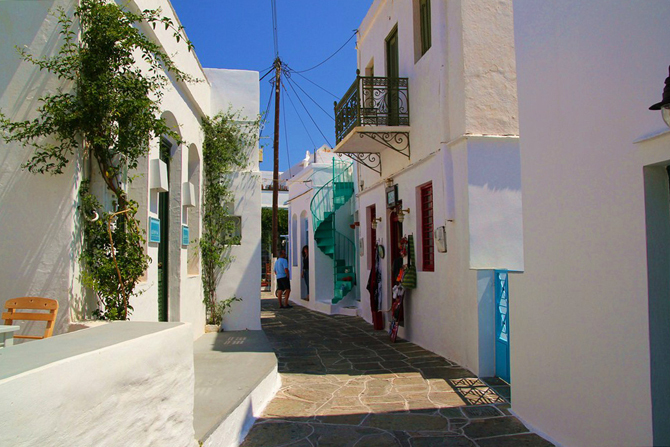 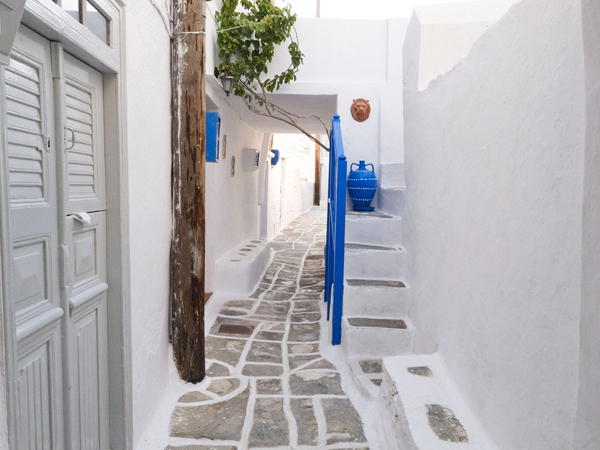 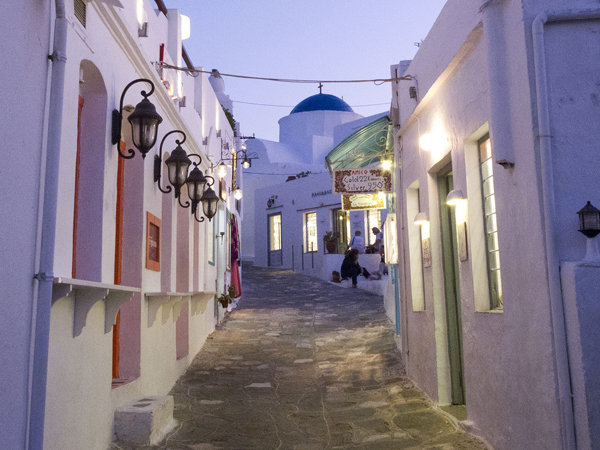 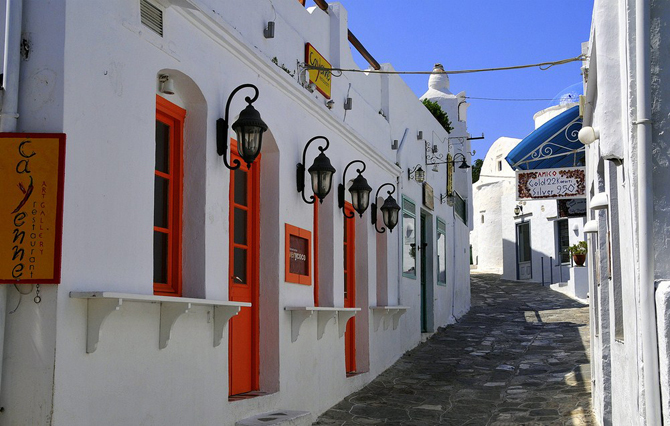 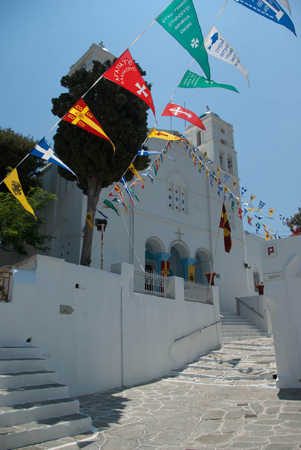 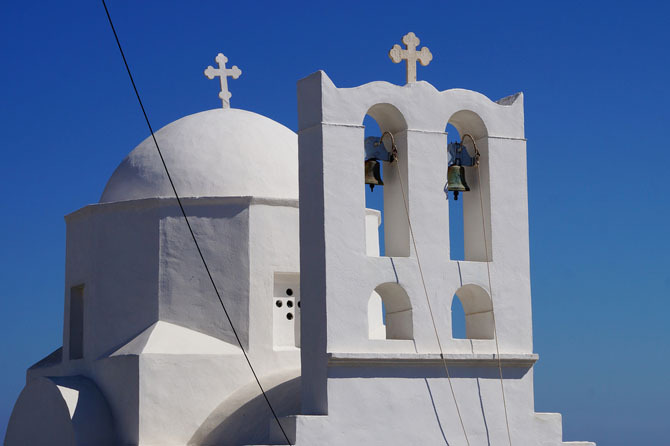 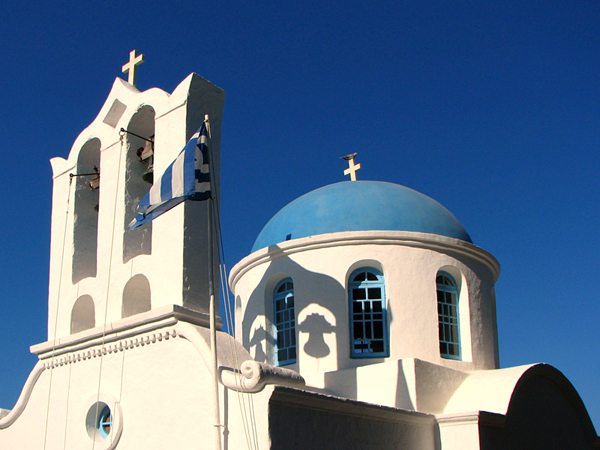 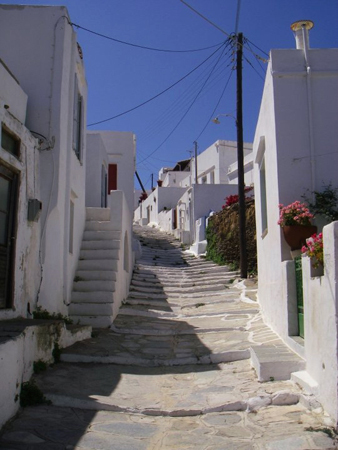 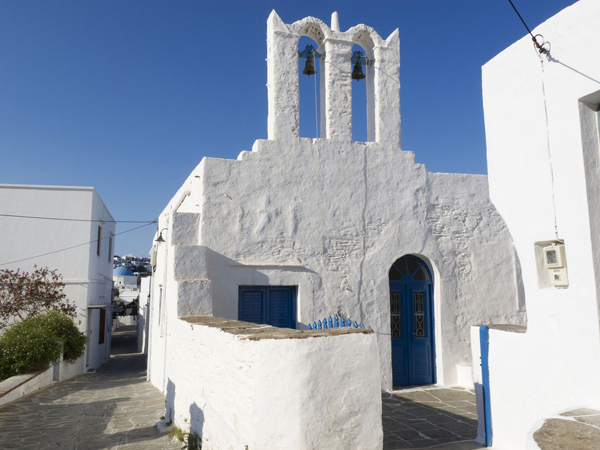 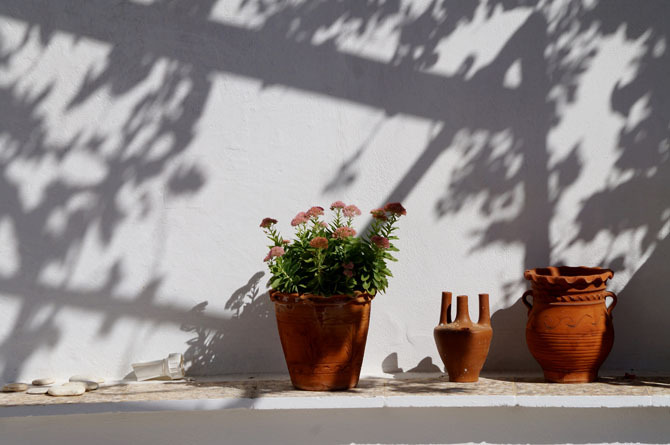 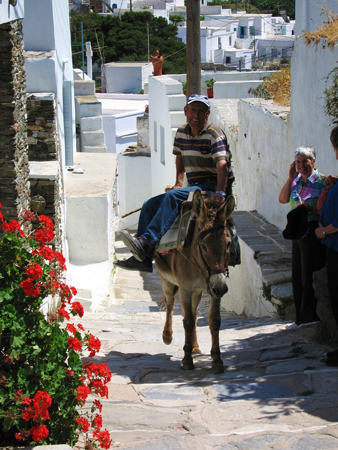 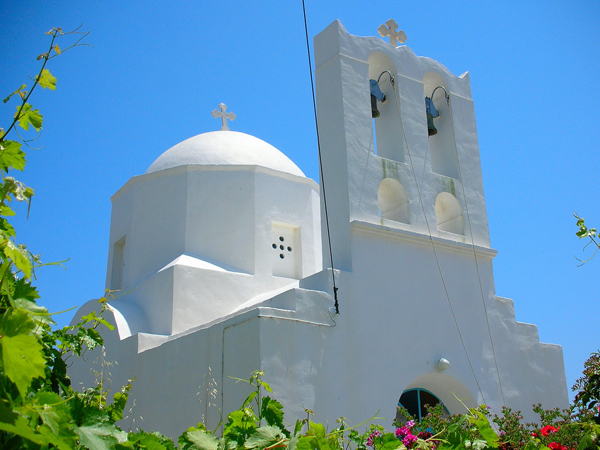 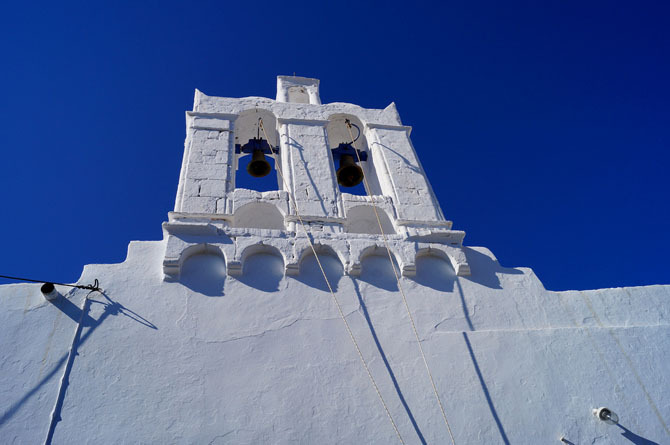 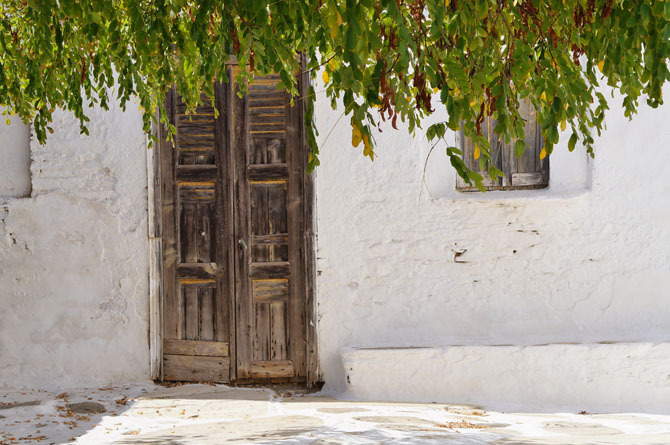 On the paved paths that go up and down the hills you will find many churches, small squares with traditional cafés and restaurants that serve the well-known dishes of Sifnos. 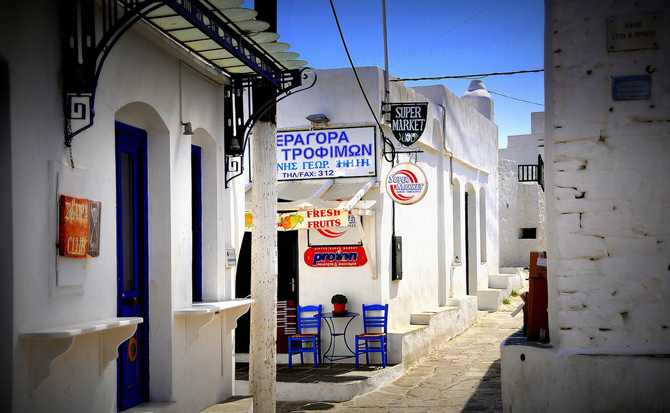 Here is also where the nightlife of the island is concentrated. 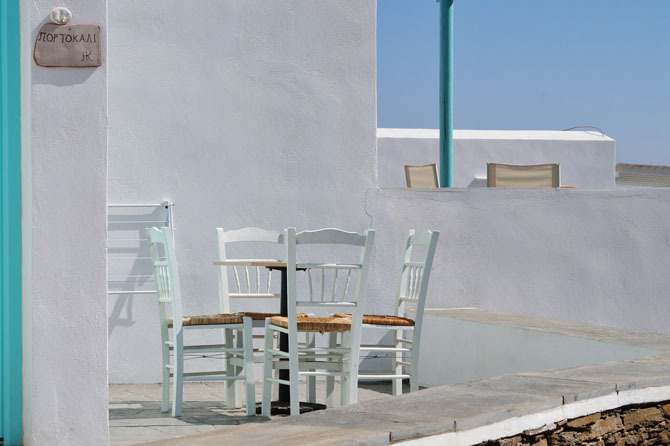 In keeping with the high standards of the travel services of the island, you will also find free wireless internet connection, as well as bank branches. 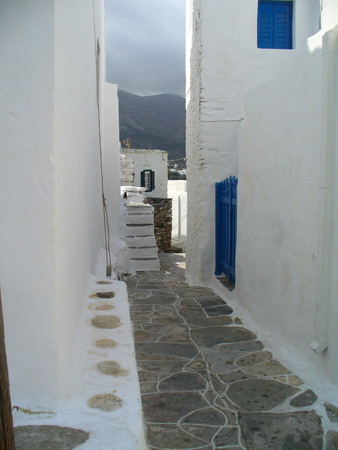 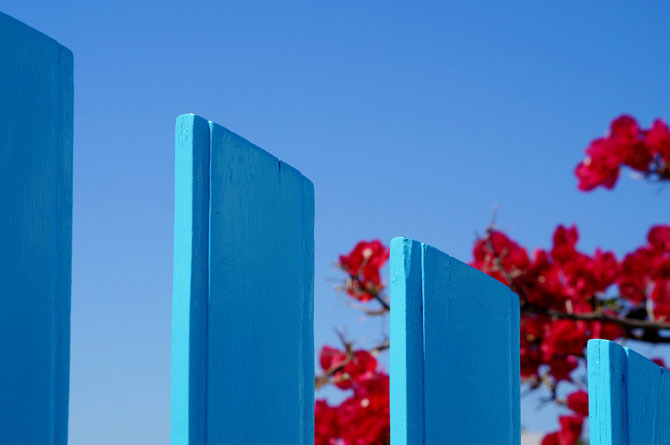 The port of Sifnos is located six kilometers from Kamares.